The successor to the highly successful HMR20/HCK20 POV HD Housing, the new Gates POV CAM is a 4K Point Of View system with remarkable UHD imaging from up to 60ft / 20m away. POV CAM is perfectly suited for remote imaging applications where distance and/or small camera size is are important. Like a highly maneuverable pole cam for an up close and personal underwater Polar Bear shot. A tight cenote passage ahead can be inspected before attempting entry. Or how about POV action of a shark feed with the UCK20 camera housing in the frenzy? POV CAM has countless Natural History, research, military and broadcast applications. What will you do with POV CAM? 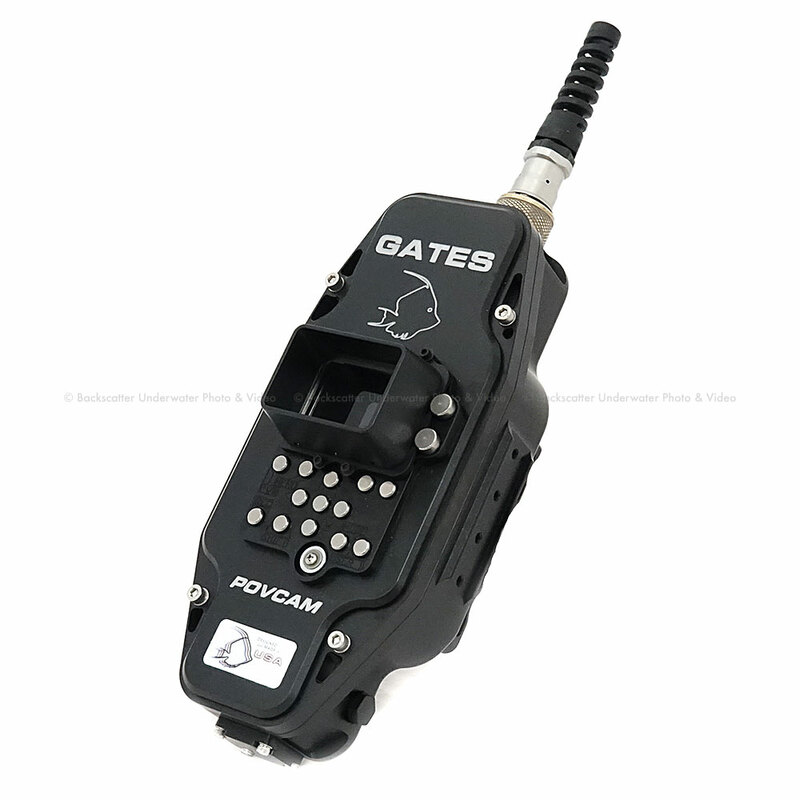 The POV CAM system, of course, includes Gates legendary 2-year warranty and customer support. Reliability, durability, dependability – the Gates hallmark for 50 years. Compatible models: Panasonic AG-UMR20 or AG-MDR25 Recorder, AG-UCK20GJ or AG-MDC20GJ Compact Camera Head. Highly configurable and glove-fit shell for a myriad of uses that require distance and/or small size. Clean, Uncomplicated Design is field serviceable. Up to 60 ft/20m distance between camera/recorder with protection against jagged edges and shark teeth. Precision Ports mean clarity and sharpness, critical to 4K underwater imaging. Full Camera, Menu, and Soft Key Control provide underwater access to all functions. Detachable shade, too. Adjustable Grip Handle for perfect grip and convenient access to controls. Construction: Machined Aluminum w/ Type III ‘hard’ anodize & Nickel Acetate Seal. Stainless steel hardware. 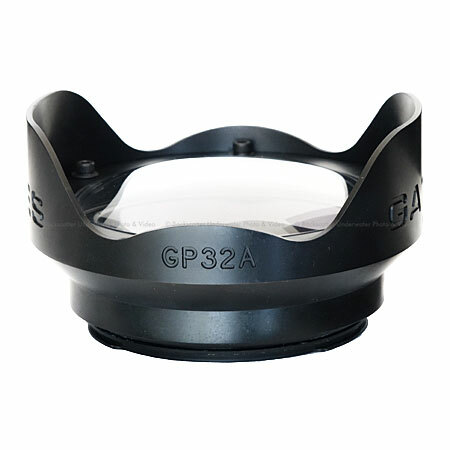 Wide Angle Port GP32A: A Gates workhorse. Optical polycarbonate dome is field replaceable. 90° FOV with UCK20. 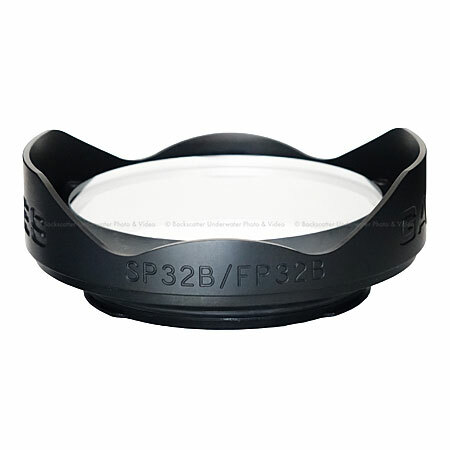 Flat Port FP32A or FP32B: Good for macro work, the Flat Port allows full zoom through and uses of diopters. 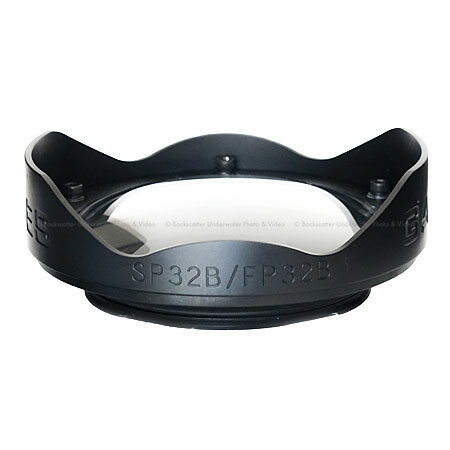 Standard Port SP32A: This 1:1 port is optically corrected for underwater use. HD-SDI Surface Feed for topside viewing and recording.